First, let me send a big welcome to my new followers; I'm very glad to have you along! Did everyone have a wonderful holiday season? Did you get lots of new crafting toys? I hope Santa was really good to you :o). Today I finally get to share some news! I am soooooo super excited to have joined the talented Playing in Paradise Challenge team at Scrapbooker's Paradise!!!! For those not familiar, this is a weekly challenge that begins each Friday. 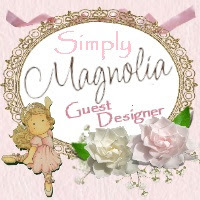 It is open to everyone and you can use any products you like to create any papercrafting item that your heart desires; just follow the theme. 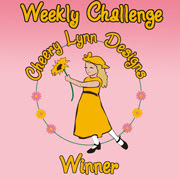 Each week, you play for a fun prize and a chance to guest design - but only if you want to :). 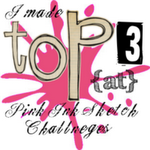 I get to play host this week for my first challenge - no pressure at all :)! With the start of a new year and the holidays being just behind us, I thought it would be fun to use something new on your creation. Whether it be something you received as a Christmas gift, a Boxing Day find or something you just had to have before Christmas but the hustle and bustle of the season prevented you from using it, dig it out of its pretty packaging and put it to use! For this challenge, I decided to alter a frame. I had a hard time capturing this one with the camera; it looks so much better in real life. I started with an unfinished frame and gave it a coat of white paint. I used Bo Bunny DP from the beautiful Gabrielle line. I purchased this paper the day it arrived in stores, and have been hoarding it ever since. It was just too beautiful to cut into. For my something new, I tried out some Stampendous Embossing Enamel in shabby blue. I love the blend of colour and texture it adds with just a hint of sparkle. It is very easy to use too - just swipe on some embossing ink, pour on the enamel and heat (from the underside of your paper) to melt. I missed that little detail and when I started heating it, all the coarse chunks of enamel flew everywhere. Of course, reading all of the directions usually helps :). 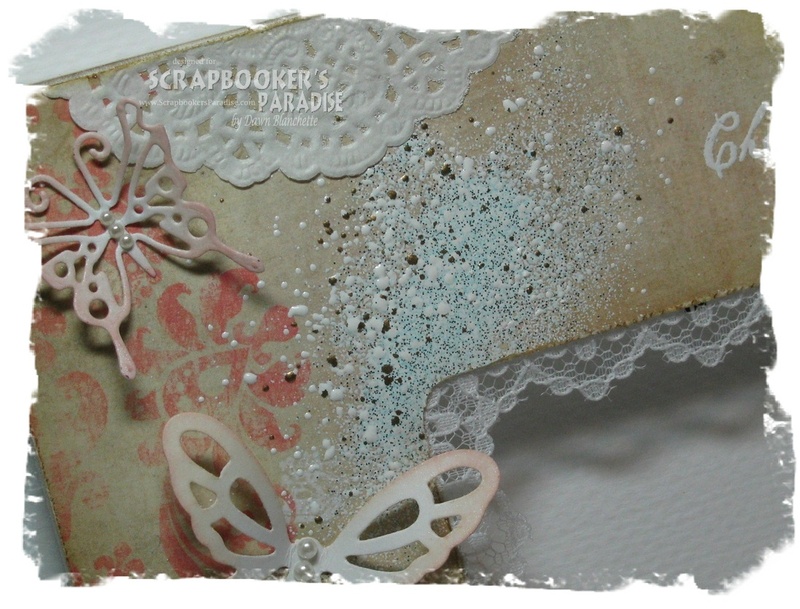 If you haven't already, pop over to the Scrapbooker's Paradise blog and check out the gorgeous creations the team has made for your inspiration. 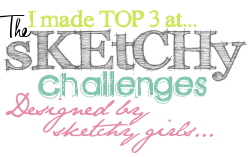 Then dig into those new supplies and join in our challenge. I can't wait to see what you create! Big congratulations on your new DT place and it is definitely well deserved. The frame is just so adorable... I love the emobossed details! Wonderful! I love the little touches you added here...I wish I had the skills to make something like this (every time I try it goes into the trash!). Welcome to the team! Dawn, our framed project is beautiful! Congratulations on not only being accepted to the Playing in Paradise Challenge Team, but also in hosting your first challenge! Nothing like jumping in with both feet, right? The embossing enamel looks really awesome on the frame. What I especially like is the cute "pink" left side, and the artsy brown and blue tones on the other side. Looks fabulous together! Thanks for sharing your remarkable project AND your happy news. Thank You so much for joining our SBP team. Love teh things you do. Happy New Year, Keep smiling and creating.. Dawn, I am so happy you are on our team. Gorgeous work, fun prompt. I hope all your friends can come and play. We have the big 100th Anniversary challenge coming up. Lot of fun prizes up for grabs then. Hi Dawn congrats on your new assignment! This frame is so beautiful, thanks for the inspiration! Congratulations on your new DT spot! Your frame is gorgeous! I love the soft colors and the butterfly diecuts. Congratulations Dawn! 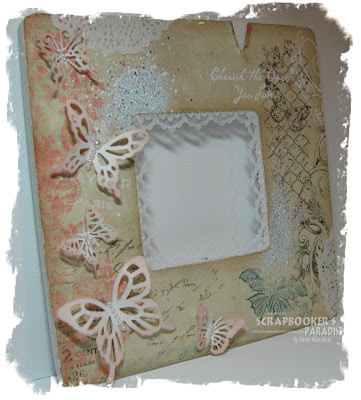 Love the photo frame. There's so many beautiful details, like the crackle paint under the peek-a-boo, the stamping, and of course that wonderful embossing! Just BEAUTIFUL!